The TheatreWorld Backdrops team is very proud to be launching StudioWorld Backdrops and our completely revamped studio and photography background collections. During the introductory period, product pricing will be below projected retail values, shipping will be discounted or complimentary, and many customers will receive a “Free Membership” to our Emerald Buyers Club; please visit the site for details. The website launch and product release is the culmination of a year’s efforts of our design, engineering, production, artistic, and quality-control teams. Together we have reviewed and, in most cases, redesigned many of the processes and procedures to produce the highest quality photo backdrops available to photographers and videographers. Our teams have developed many new color combinations, created new formats, and modified the dye and painting process to deliver more color consistency and intensity. Several of these new formats and designs are being introduced as part of the initial site launch. In order to fulfill the background needs of photographers of all skill levels, StudioWorld will offer three product families:Essential, Elegance and Marquis. The Essential Collection consists of professional quality drops, but will also be the go-to for hobbyists and professionals in need of fundamental backdrop options. The Elegance and Marquis Collections are both geared towards professional photographers and videographers. These collections offer solid drops on denser muslin and more intricate designs for mottled, old masters and scenic designs and more. In order to ensure that each Collection provides top quality drops, StudioWorld will not stock any drops that fall below 165 GSM (grams per square meter), but will offer options that are significantly denser. StudioWorld will have 3000+ photo and video backdrops, most available in sizes from 5’ by 7’ to 10’ by 24’, in stock for immediate shipment to you from our facilities in the Greater Tampa Bay Area by the end of May 2014. All shipments from our facilities will be UPS Ground services during the introductory offerings and restricted to the US market only. During the summer months we will be releasing a new suite of hand-painted abstracts, old masters, general scenic, sports scenic, followed by a selection of TheatreWorld’s Signature Series backdrop designs scaled to the photo backdrop format. Initially, all specialty designs will be treated as custom orders and dropped shipped from our production facilities in India directly to you for your use. They will all be developed to our Elegance or Marquis production standards, depending on the design. Late this year, we will begin to stock select designs developed to our Essential production standards for immediate shipment from our facilities in the Greater Tampa Bay Area. 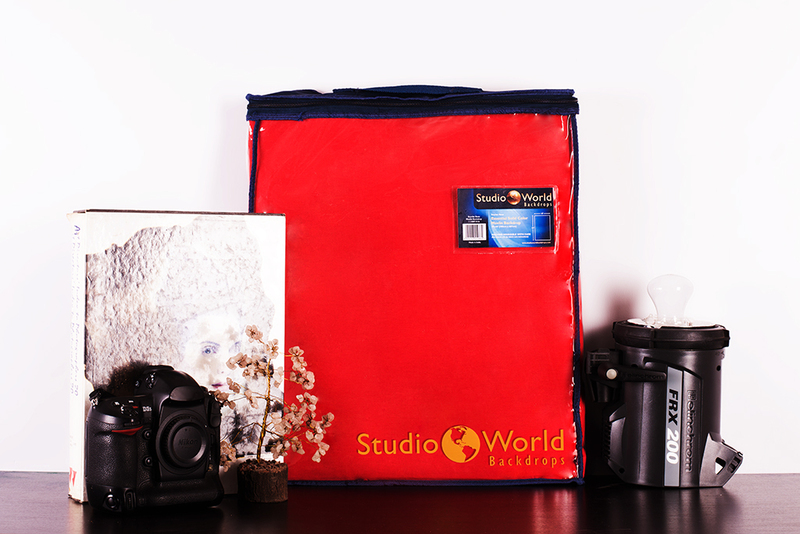 The StudioWorld Backdrops team looks forward to assisting you and meeting your photo and video background needs. Please don’t hesitate to contact us through the site or by telephone. We look forward to meeting you and satisfying your requirements; special or custom designs will receive our highest levels of service and product production.